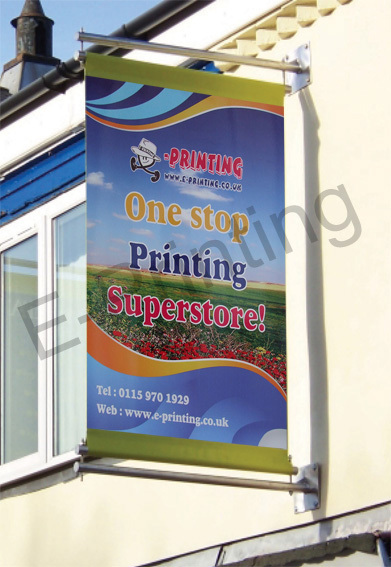 Designed to give your banners maximum impact outdoors and displayed effectively from a height. The wall mounted banner system comes already equipped with a tensioning system unlike others, meaning the banner is more resistant against outdoor elements, keeping the banner taught and allowing it to be viewed at its best. Please note: it is advised to consult a structural engineer before installation. Artwork Guidelines: Please include 30mm bleed on submitted artwork. Please specify size of banner required when placing order. All banners can be supplied with up to 2m drop.